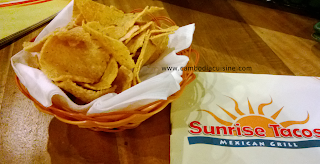 From the absent in reviewing the food quite a while - now i'm in the market again with the new taste from Sunrise Taco - Mexican Grill which is a new Mexican theme restaurant just opened less than a month in Boeung Keng Kang Area, Phnom Penh. When u entered the restaurant - the vibe does not really make me feel like Mexican restaurant very much. 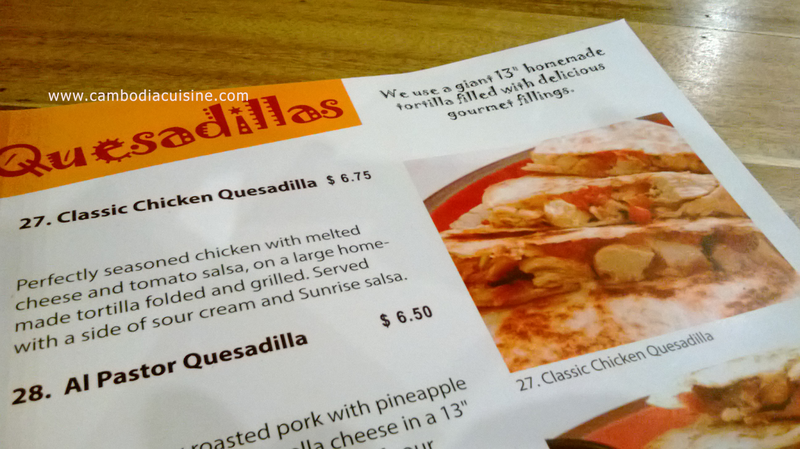 I have ordered Classic Chicken Quesadilla price around 6$ and it does make 2 people full. The size is big and full of meat and vegetable fillings. 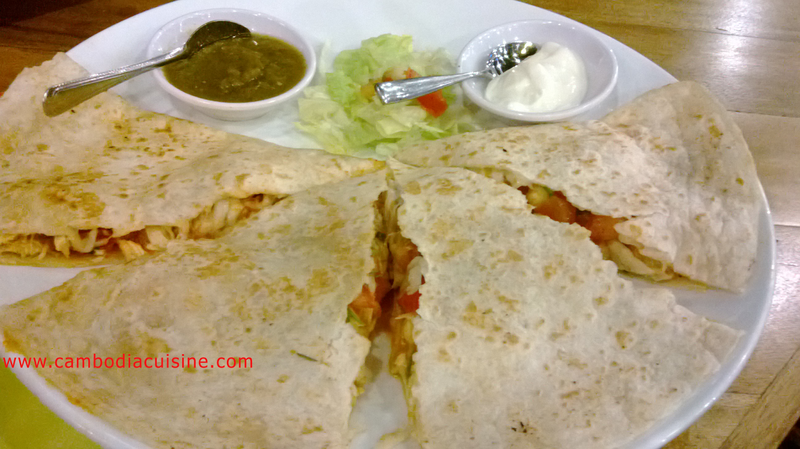 The fillings are made from seasoned chicken with melted cheese and tomatoes salsa on a large tortilla freshly made by them in the morning. After all the filling - they grill the taco and served with sour cream and signature salsa. The taste of this tortilla for me is a bid bland so you need to deep with the cream and plenty of salsa. 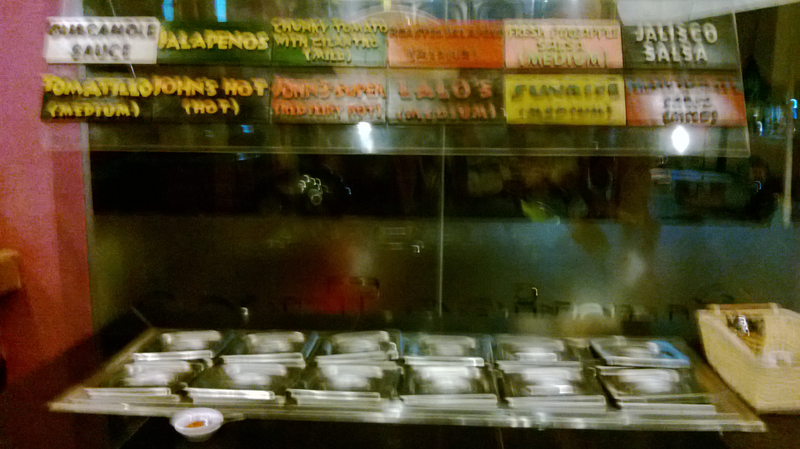 You can get more sauce from the other corner of the restaurant over 10 sauce as the picture below. There are still many more dishes that needed to explore - overall I like their home made corn chips and tortilla. Oh they open from 11 noon. This restaurant located on street 63.